Almost every child in America at some point in their school life has either witnessed, participated, or fell victim to bullying. The statistics are deplorable. Did you know that 90% of 4th through 8th grade students report being a victim of bullying, 71% of students report bullying as a problem at their school, 1 out of 20 students has seen another student with a gun, 15% of all school absenteeism is directly related to fears of being bullied at school, and suicide is the leading cause of death among children under the age of 14? This is unacceptable!! Dance Out Bullying(DOB), EIN 46-2591441, is a non-profit 501(c)(3) organization that is committed to raising awareness and prevention of bullying to the young children of today. 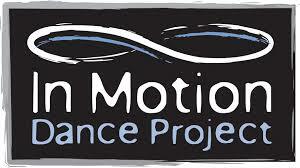 We are performance based and “dance out” different scenarios that pertain to bullying. We captivate the school aged children with our selection of music, stories, and movements. DOB interprets these emotional stories of the victim, the victim’s family, friends, and the bully artistically demonstrated though dance. Before and after each scenario our Emcee actively engages the audience with facts and leading questions that promote problem solving, awareness, and self reflection. Our intent is to educate the children through interaction, demonstration, and discussion while understanding diversity in the community. As there are many other organizations that promote anti-bullying and bullying awareness we are the only organization that does so through the art of dance. Due to the depleating school budgets it is near impossible for any school to cover our basic costs. We have multiple school requests and are trying to accomidate all of them; however, without Sponsorships we are unable to do this. Dance Out Bullying would like to take this time to thank so many for participating in our First Annual Dance Out Bullying in the Park! Music was done by Anthony Smith and Chally Rowjohn and Angelika Krug Photgraphy filmed the event. And of course a huge thank you to all of our sponsors. Without your donations this would not have been possible!